Visit our Local Showroom in Harrow! Looking for home improvement inspiration?  Look no further than The Window Centre’s local showroom in Harrow! Stocked with examples of our work and samples of our materials, it contains all the information you need to help you make the very best choice for your home. It’s an opportunity to take a look at our windows and doors, browse the options and really see what you are buying. And of course, should you have any questions, our friendly and knowledgeable staff are always available to offer advice and guidance around our products and services. Our local showroom is open 6 days a week. You can make an appointment for your free consultation below. Visit our showroom from the comfort of your home! Our local showroom is perfect for customers in Harrow, Pinner, Middlesex and the surrounding areas. Can’t make it to our showroom today? Pay a visit to our virtual showroom using your computer, tablet or smartphone now! 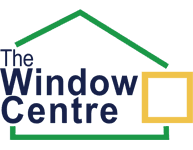 At The Window Centre, we are immensely proud of our exceptional workforce across Harrow, Pinner, Middlesex and London. Our sales team works incredibly hard for our customers; their product knowledge is second to none, and they always place customer service at the centre of everything they do. All of our staff work in a strictly no-pressure environment – so don’t worry, with us you won’t be subject to the hard sell. Our installations department ensure that everything runs smoothly, from contract to completion. Our dedicated surveyors, meanwhile, will pop round once you are happy with your contract, to measure the installation. Finally, our fitters really are some of the best in the business. With over 16,000 installations to date and an astounding track record, they are all FENSA-registered and undergo regular training courses to keep their skills and knowledge sharp. They’ll be the guys coming round to fit your home improvements in a professional and timely manner, without leaving behind any mess. Of course, our service offering doesn’t stop after we have fitted your installation. All of our products come with a 10-year insurance backed guarantee and we have a dedicated department for comprehensive after-sales services. It’s our promise that your new windows don’t just look great now – they’ll continue to look great and perform well for years to come. It’s no wonder we are recommended so often! Why wait? To visit our showroom or request a call back, complete the form below.